When will be Coach next episode air date? Is Coach renewed or cancelled? Where to countdown Coach air dates? Is Coach worth watching? 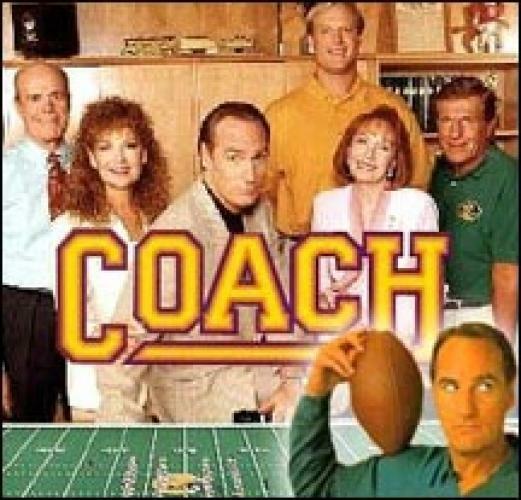 Coach stars Craig T. Nelson, Jerry Van Dyke, and others in this football comedy that has Hayden Fox (Nelson) as the head football coach at fictional Minnesota State University. Hayden was a recovering Neanderthal in his personal life and a hard luck coach in his chosen profession. Van Dyke played Luther Van Damme, his bumbling assistant coach and Shelley Fabares co-starred as Christine Armstrong, Hayden's galpal who eventually became his wife. EpisoDate.com is your TV show guide to Countdown Coach Episode Air Dates and to stay in touch with Coach next episode Air Date and your others favorite TV Shows. Add the shows you like to a "Watchlist" and let the site take it from there.